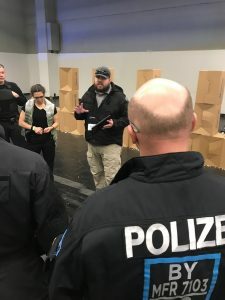 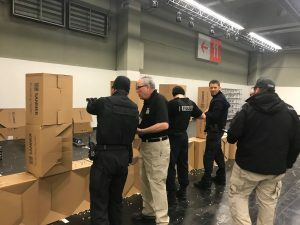 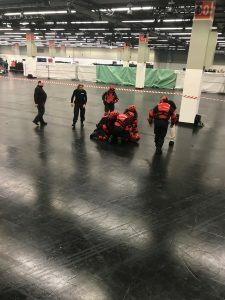 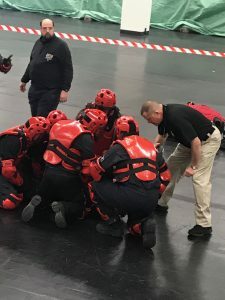 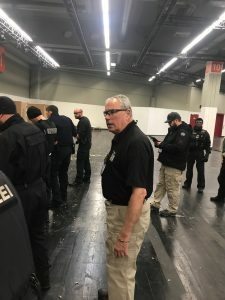 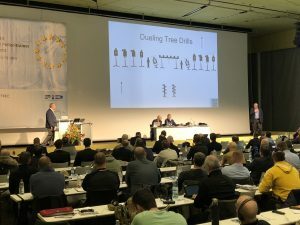 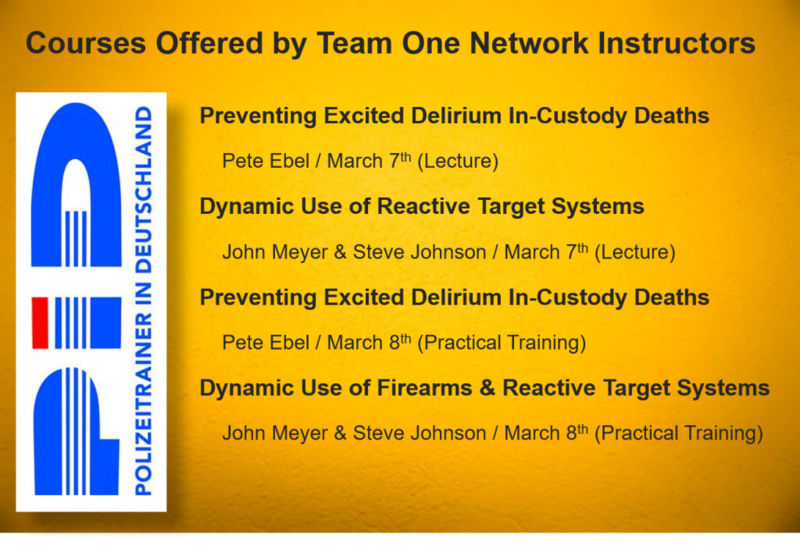 Team One Network provided training to nearly 400 international police officers fr0m 7 to 8 March 2018 in Nuremberg, Germany. 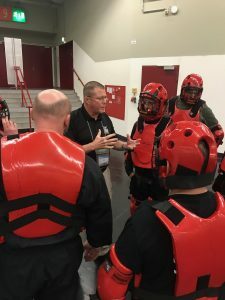 The training consisted of two days of training covering two critical law enforcement training topics. 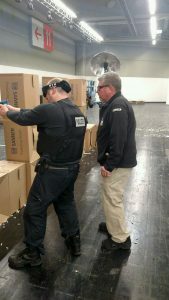 This course is sponsored by Action Target and incorporated the use of Force on Force marking cartridges. 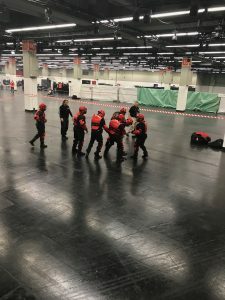 The training consisted of a lecture followed by a detailed practical. 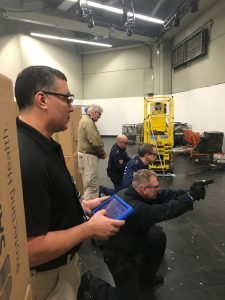 Participants learned about a wide variety of target systems available to increase their marksmanship training program. 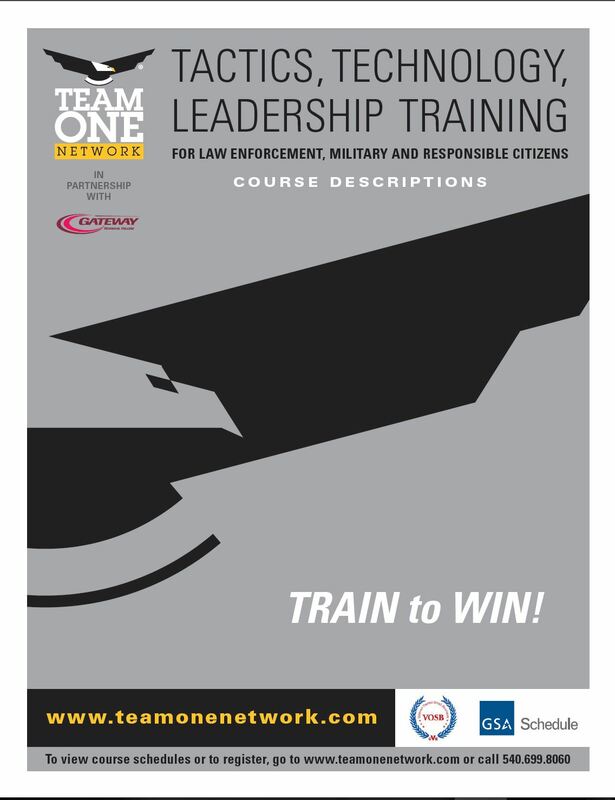 Learn more about this course. 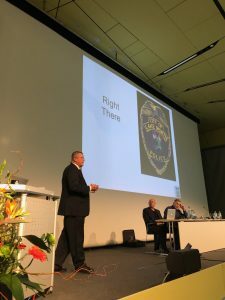 Pete Ebel presented a workshop on Identifying Excited Delirium and preventing in-custody deaths. 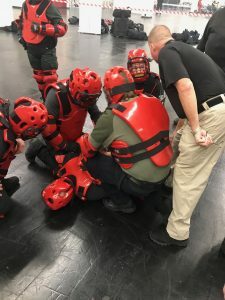 His work is receiving a lot of attention at home and abroad as he introduces a new method of control subjects who have a higher risk of dying in police custody. 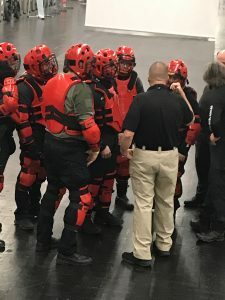 Students use RedMan Training Gear to practice the control techniques learned during this workshop. 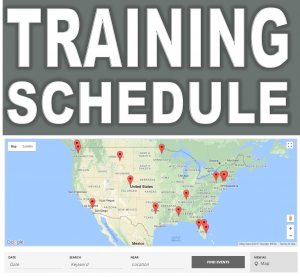 Learn more about this training.